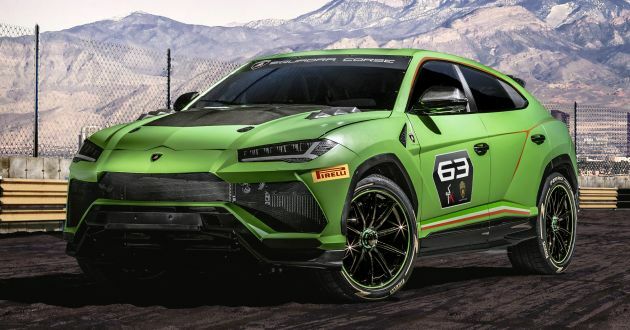 At the 2018 Lamborghini World Finals, Lamborghini Squadra Corse took the veils off the Urus ST-X Concept, which is the first ever racing Super SUV in the brand’s history. The car was conceived for a new single-brand championship, combining a proper FIA-approved racing circuits with an off-road track. Think rallycross, and you won’t be far off. The “arrive and drive” racing format, as Lamborghini calls it, will debut in 2020 in Europe and the Middle East, and the racing series will offer driver-customers a complete package including car and technical support during the race weekends. The Urus ST-X has been mechanically optimised and equipped with the usual FIA-approved safety features, which include an integrated steel roll cage (which raises the car’s torsional stiffness), fire suppression system and FT3 fuel tank. Weight is down by 25% compared to the standard Urus as well. On the outside, it wears a matte green Verde Mantis paint with liveries, as well as a carbon-fibre bonnet. It also gets a new front apron with larger air intakes, which helps cool the hot twin-turbocharged 4.0 litre V8 engine. Output is unchanged, however, at 650 PS and 850 Nm of torque. Additional equipment come in the form of a slim rear spoiler, revised rear bumper, lateral racing exhausts with new hexagonal design, as well as huge 21-inch single-nut aluminium alloy wheels shod with high-performance Pirelli tyres. 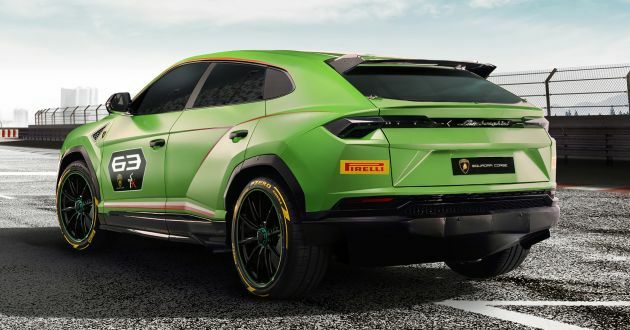 The Urus ST-X Concept will make its track debut during the 2019 Lamborghini World Finals. How about have rematch to beat Model X P100D in quarter mile race? Previous Post: Betulkah penuras udara yang bersih atau berprestasi tinggi dapat tingkatkan kuasa kuda dan pecutan?